Sweden, without a doubt, is a beauty. Not only is their royal family the most attractive in all of Europe, but the scenery, cities, and towns are exceptionally picturesque and well worth a visit. 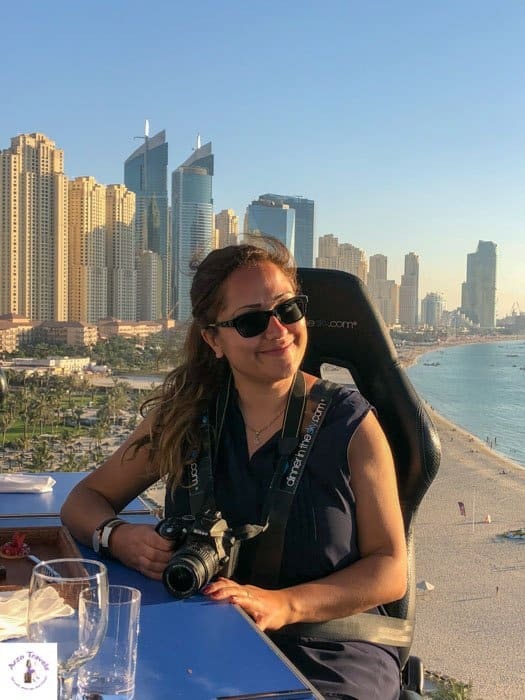 While I have been to Stockholm a few times, I have not yet seen much of what Sweden has to offer to tell you about where to go in Sweden and so I asked a few other travel bloggers to tell us about their favorites to see what they think are Sweden’s must-visit locations! If you’re looking for one of the best places to go in Sweden, look no further than Gothenburg. Gothenburg is located on the west coast of Sweden about halfway between Copenhagen & Oslo, making it a perfect addition to any Scandinavian itinerary. 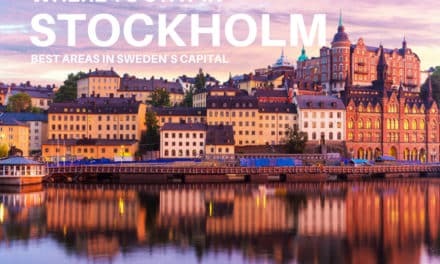 As the second largest city in Sweden, it has plenty of great activities, culture, and important Sweden points of interest. The city truly comes to life in the summer months, as the long sunny days make it impossible to want to stay inside. Within the city of Gothenburg, there are several large parks & gardens including Slottsskogen, which also has a zoo, Kungsparken, which borders the canals winding around the historic city center, and the Gothenburg Botanical Garden. For those looking for a bit of an adventure with their outdoor time, the Liseberg amusement park is the place to go. It is not just one of the best places to visit in Sweden, it has been rated as one of the best amusement parks in the world. Gothenburg grew due to its important location along the sea and is still a large port today. This area of coastal Sweden is dotted with thousands of islands which helps to make it one of the top Sweden beautiful places. The Gothenburg archipelago is divided into two sections, the northern and the southern archipelago. Both are easily accessed from the city. The plentiful ferry schedules allow travelers to visit several islands in a single day. They are the perfect place for relaxing, hiking, and watching the plentiful birds & sea life. 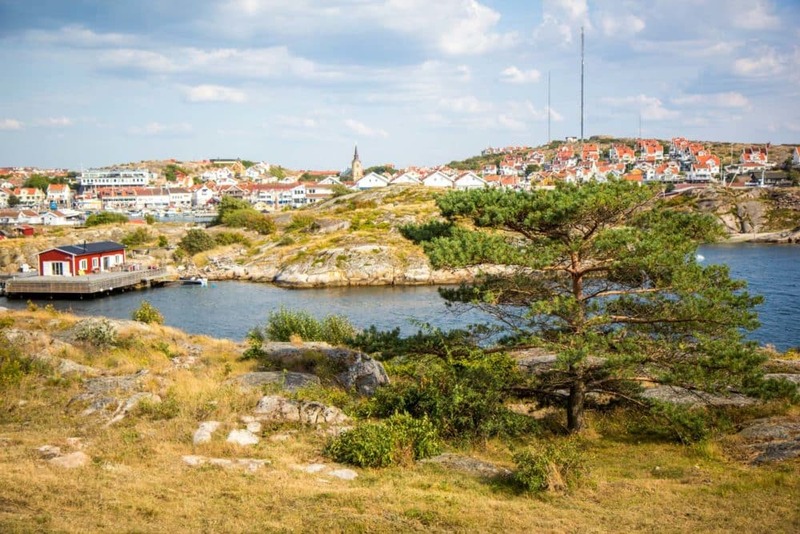 Just to the north, Marstrand makes for an excellent day trip from Gothenburg. The views from the top of Carlstens Fastning are spectacular, and thousands of people flock to the city to watch some of the best sailors in the world compete in Match Cup Sweden each July. Whether you’re looking for a city break or an outdoor getaway, Gothenburg, a trip to Sweden will have you covered thanks to its diverse activities suited to any style of travel. Of all the places to visit in Sweden, Stockholm is one of my favorite Sweden places to visit. Stockholm (Sweden’s capital) is an extremely beautiful city and reminds me very much of one of my most beloved cities, Hamburg in Northern Germany. It encompasses fourteen islands and with more than fifteen bridges it feels like a larger version of Venice. Although I absolutely love the water, there is more to see in Stockholm than just the gorgeous waterways, for example, the old town Gamla Stan with its medieval character and plethora of churches and museums. The best view of Stockholm can be enjoyed from many places – I enjoy the views from Södermalm the most. Though I am not the biggest fan, I really enjoyed each of the museums I visited in Stockholm and with seventy of them on offer I can’t think of a better place to enjoy some history. 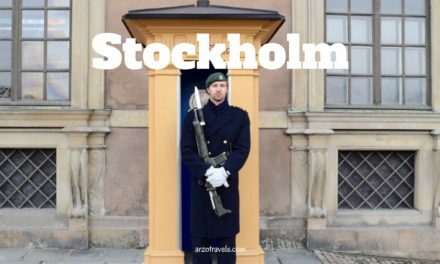 Here are my top tips for things to do in Stockholm. The Vasa Museum, Skansen Museum, Stockholm Palace and Drottningham Palace are just some of Stockholm’s cultural and historical highlights. These places – and many more – should be on your list when you visit Stockholm as part of your Sweden itinerary. Read this accommodation guide on the best areas to stay in Stockholm. Sigtuna, which lies just to the North of Stockholm, is one of the best places in Sweden to visit. With a population of only 8,500, it’s a popular destination for those of us who are saturated with city life. 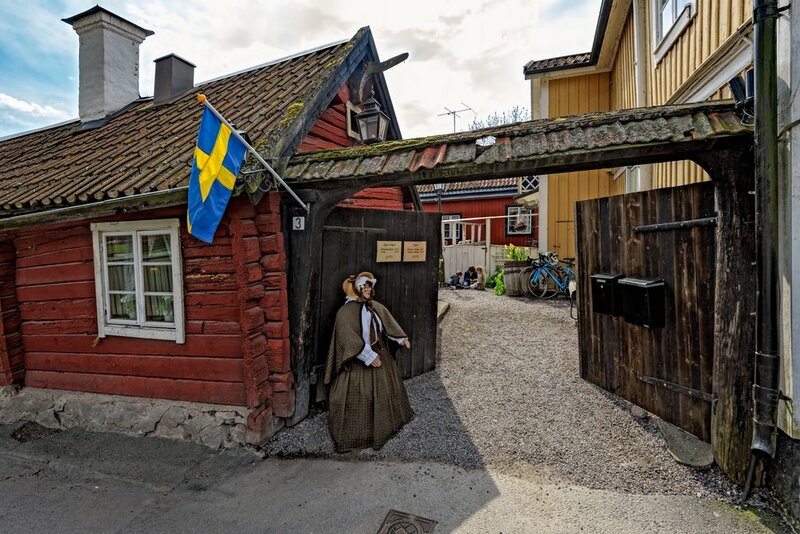 When you just need to get out of the city for a while, Sigtuna is a chill town ready to woo you with its history and culture. 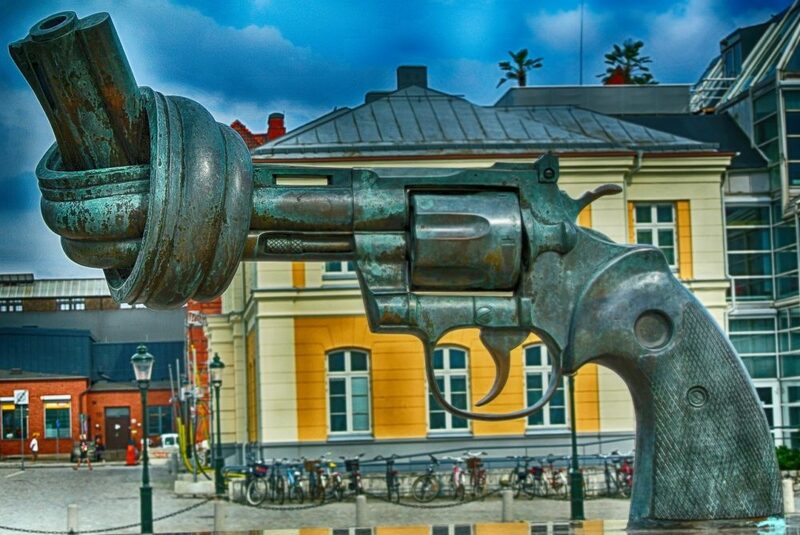 In terms of history, Sigtuna is loaded. 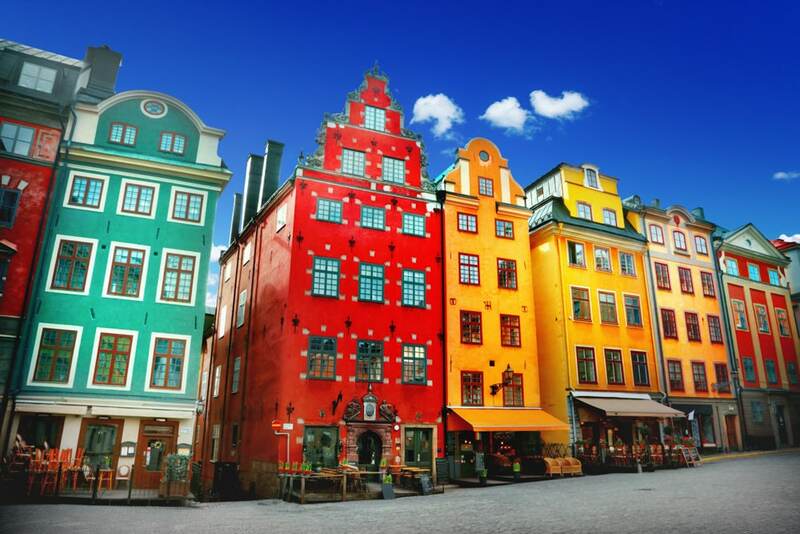 It’s the oldest city in Sweden, having been founded in 980 making it one of the best Sweden tourist places. When you’re ready to see the sights, first check out St. Lars’ church – not much is left but it’s amazing to think it’s been around for hundreds of years. Then stop by St. Olaf’s church ruins and marvel at the complete stone structures still standing. All it really needs is a roof. No other place in the world has as many runic stones as Sigtuna. These historical carvings have been in Sigtuna since the 12th and 13th centuries. The city itself has upwards of 70! To wind down your day, head to the Stora Gatan, the old main street, for supper or maybe just a coffee. It is the most picturesque Scandinavian main street you will ever see. It has beautiful shops and a small, quaint road. If you’re looking for a place to stay, we haven’t stayed there but we’ve heard nothing but great things about Stadshotellet. If you’re staying in Stockholm and just want a taste of what rural Swedish life is like, Sigtuna is not to be missed. One of the most beautiful places in Sweden is Swedish Lapland and it has so many of the fun things to do in Sweden packed into one location. Mention Swedish Lapland to most people, and chances are they have a vague idea of a wintry wonderland, dog sled rides, skiing, and a chance of seeing the Northern Lights. Admittedly, before arriving in the area ourselves, that was pretty much all we knew too. And it’s true that winter here is enchanting – even the locals we met had a deep love of the icy months and all the outdoor activities they bring. From racing expensive cars on frozen lakes and snowmobiling your way into nature to skiing or skating on the frozen lakes and enjoying a husky-sled ride – there’s something for everybody who wants some adventure in the winter months. 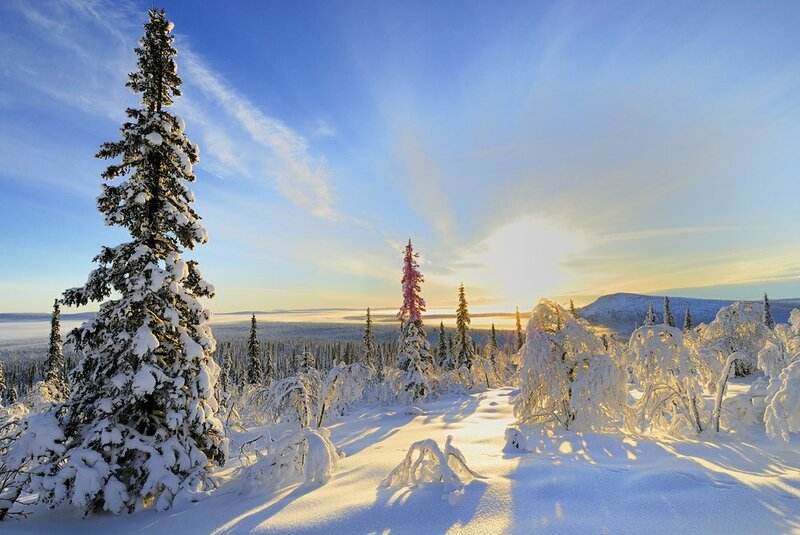 But what most people don’t realize, is that Lapland is actually a place that’s equally beautiful, and just as adventurous all year round too. In the warmer months, the mountains are bursting with color and there are thousands of beautiful hiking, horse riding, and mountain biking trails to explore. It’s also a time of hunting and gathering for locals here, which means you can spend time out fishing on the lakes, or go wild berry or mushroom foraging in the forest. The indigenous Sami people, who have roamed this region for thousands of years have an extremely unique and rich culture, which you can discover by spending a day at the Silver Museum in Arjeplog. We spent a week road tripping through the region, exploring the remote and pristine wilderness by day, and cozying up by the fire in a traditional log cabin at night – perfect! 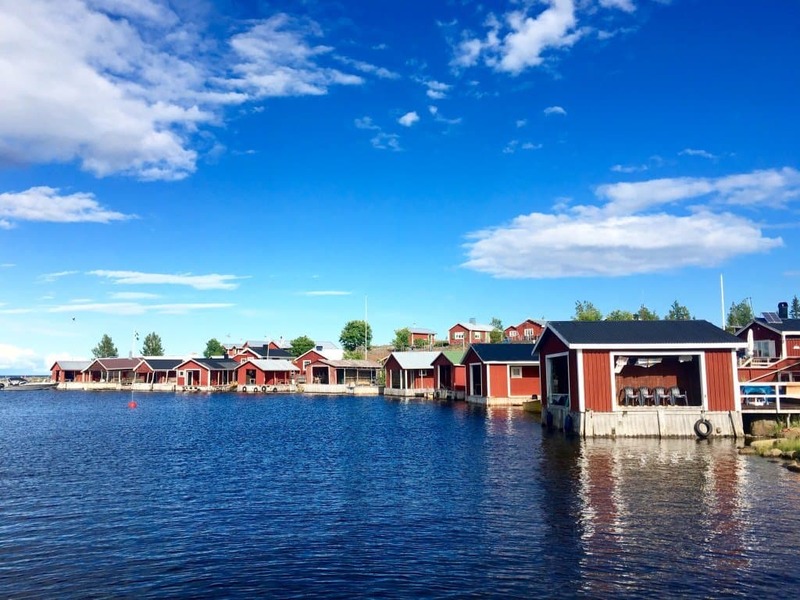 When thinking about cities to visit in Sweden you mustn’t forget about beautiful Luleå. Luleå is located in the north of Sweden, in what is known as Swedish Lapland. 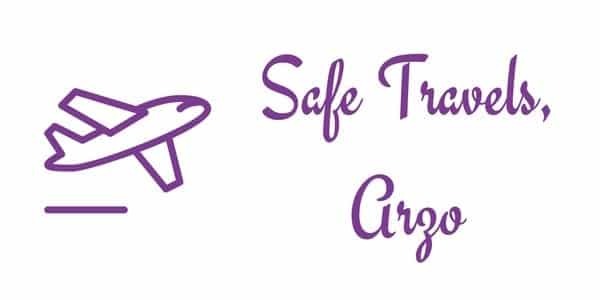 However, don’t just think that means you should visit in winter. It does have all the epic Sweden attractions you would expect in Lapland in winter, like seeing the northern lights, ice fishing, driving on ice roads, dog sledding, snowmobiles, you name it! But it’s also a great summer destination. This coastal city has an archipelago made up of thousands of islands, many of them with picturesque red houses often characteristic of Scandinavia. You can kayak around, take a boat, and try out activities like fat biking across the sand dunes and forest of the islands. If you time your visit right, this far north you have the potential to see the most important of Sweden tourist spots, the northern lights, while kayaking under the stars! Which also means at the height of summer the sun barely dips below the horizon, if at all, giving you the perfect opportunity to enjoy a sauna followed by a midnight swim in the sunlight..
What really makes this one of the best places of interest in Sweden is that you get to learn about the ‘Luleå Way’, which is the local culture and enjoy the endless possibilities available to you in a place like this! One of the great attractions of Sweden is the country’s vast area of wilderness, which starts right at the edges of Stockholm. The best example of this is the breathtakingly beautiful Stockholm archipelago with thousands of wooded islands, rocky cliffs and sandy beached islets. This wilderness area can be reached starting from the Swedish capital with a kayak, sailboat or yacht in no time. Even though these islands are close to a major city, they still feel peacefully remote as most of them are uninhabited bar some wildlife, like snakes, birds of prey, seals, sheep and martens. If need be you can stock up on the few inhabited islands like Sandhamn, and Utö Blidö where you will find hotels, restaurants and shops. 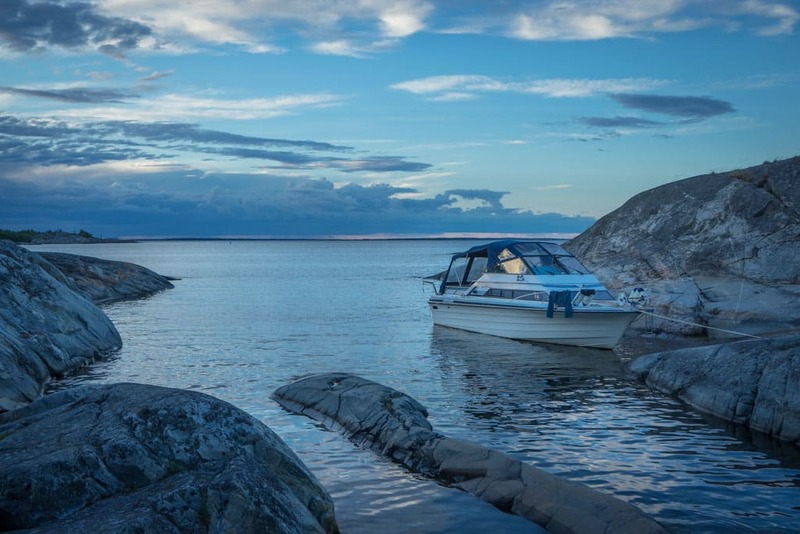 The archipelago in the Gulf of Bothnia is an ideal active holiday destination, especially during those long summer days when the sun is surprisingly abundant in this northern territory. The blue endless skies continue till late at night and then when the sun finally dips in the sea, it leaves only traces of gold before darkness finally kicks in. The short nights only last a couple of hours, leaving you plenty of daylight to enjoy the next day. In love with Karlskrona.Officially the sunniest town in Sweden, Karlskrona is on the south coast of Sweden, surrounded by blue waters of the Baltic Sea, and dozens of islands in the archipelago. You can hire bikes to cycle around the town, or just stroll around and explore on foot as most places are easily reachable. 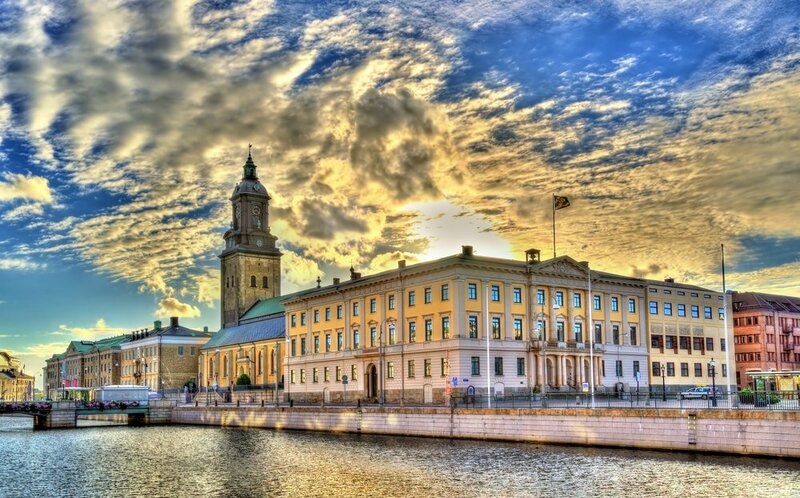 Visit the renowned Naval Museum which is home to HMS Neptun, a huge submarine, and learn about the history of the Swedish Navy (free entry), and other landmarks around town like the lighthouse, seafront complete with old cannons, and the town hall. Hire a kayak and get out on the water to see the Brändaholm headland where Karlskrona’s allotment cottages from the 1920s are still in excellent condition, with red walls and grooves, and Swedish flags flying high, or fish to your heart’s content. You could even take a speed boat out to an uninhabited island to snorkel with seals and have a traditional Swedish Fika in a lighthouse on the island. The nearby town of Kristianopel is also worth a visit and makes a great day trip from Karlskrona, where you can still see the old city wall that used to provide a fortified border between Sweden and Denmark. Foodies will enjoy the local delicacies like herring sandwiches, potato dumplings and award-winning ice cream. 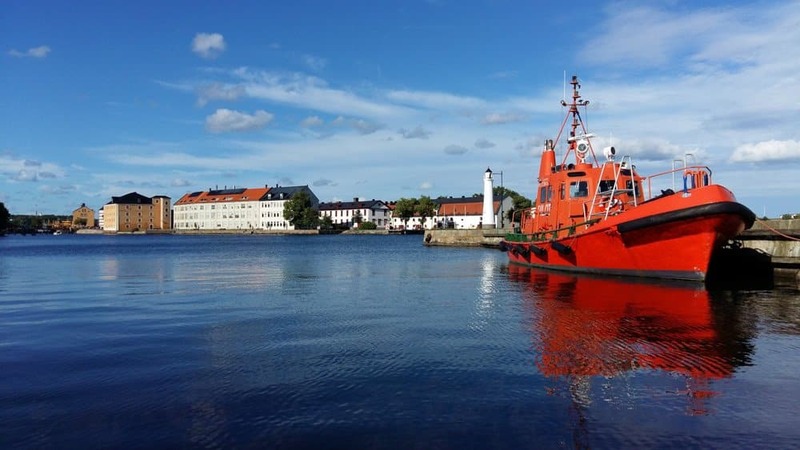 Despite its small size, there is plenty to do in Karlskrona so don’t miss it! In summer, Smögen feels like a classy coastal drinks party. It’s known as one of Sweden’s liveliest summer towns but it is a sophisticated type of party. While it’s always busy at the cafes, restaurants and bars along the waterfront, you’re much more likely to see young professional families with the grandparents in tow, than a group of tipsy students. In the main town, the shops near the restaurants sell boutique clothes and handmade souvenirs. Clearly Smögen is a tourist town, but that doesn’t take away from its charm. Technically the population is only about 1500 people but it always feels full in the summer, as people rent houses for a week-long holiday or pop up for the weekend from Gothenburg, which is about 90 minutes away. However, the great appeal of Smögen is not just the social life. It’s also a beautiful natural location. Technically it is an island but is so close to the mainland that it’s connected by just a short road bridge. But, being an island, Smögen has a lot of coastline and it’s here that you can find stunning areas for walking or swimming. It doesn’t take long until you’re away from the restaurants and the houses and you have empty landscapes in every direction. There are rocks, cliffs, small inlets, and patches of greenery. And amongst it all are colourful fishing huts. A short stay in Smögen offers you nightlife, great food, some natural beauty, and a typical Swedish holiday experience. For a pretty unique arrival to Malmo it is the best to travel on train over the famous Öresund Bridge – the last 4 kilometers of the bridge are actually the world’s longest underwater tunnel. The primary purpose for many day trippers from Copenhagen to Malmö is probably to see the old town or Gamla Staden. Stortorget and Lilla Torg, two squares just a few minute walk from the train station, is a lovely area that is defined by cobblestoned streets and buildings that were built between 1600 and 1800 hundred. There are even a few remaining buildings constructed of timber. Most timber buildings throughout Europe succumbed to fire and were rebuilt with fire resistant materials, so these few buildings are very unique. There are plenty of interesting shops and restaurants to explore. Maybe you arrive just in time for fika, the Swedish ritual of coffee and pastries late in the morning. We spent more time exploring old town and eventually arrived in the more modern Malmö Park. You know you’ve left old town when an H&M store appears. While the old town appeals to the tourists, the area around the park is clearly intended for locals, so it was a nice glimpse into local life. There is much more to see and do in Malmö—ancient churches and castles, museums and city hall to name just a few. But whatever your timeframe, Sweden’s third largest city is definitely worth adding to your itinerary. What do you think? Have you ever been to Sweden? What has been your favorite place in Sweden? Let us know, so we can get more inspiration.